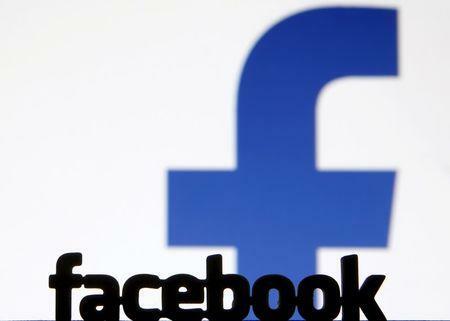 (Reuters) - Facebook Inc smashed investors' expectations with a 52-percent jump in quarterly revenue as it sold more ads targeted at a fast-growing number of mobile users, sending its shares sharply higher after hours. The world's biggest online social network bucked the trend of underwhelming tech results from Apple Inc and eBay Inc, in the face of economic uncertainty around the world and a strong U.S. dollar depressing the value of overseas sales. "It's phenomenal at these (currency headwind) levels that they're accelerating to that level of growth," said Rob Sanderson, an analyst at MKM Partners. Facebook's dominance in mobile advertising helped to allay Wall Street concerns over its heavy investments in messaging service WhatsApp and virtual reality unit Oculus, which have not yet generated profits. "I don't think there's going to be too many people crying for them to start monetizing other properties anytime soon because the core business is so strong," said Sanderson. Facebook shares rose almost 12 percent in after-hours trading to $105.32. They were helped by Chief Financial Officer David Wehner's comment on a call with analysts that he expected operating expenses to increase by 30 to 40 percent over the course of the year, a slower clip than last year. Total revenue rose to $5.84 billion from $3.85 billion a year earlier, with ad revenue increasing 56.8 percent to $5.64 billion in the holiday shopping period, when spending on advertising typically spikes. Excluding some items, the company earned 79 cents per share. Analysts on average had expected earnings of 68 cents per share and revenue of $5.37 billion, according to Thomson Reuters I/B/E/S. Apart from focusing on mobile, Facebook has been ramping up spending on what it calls "big bets," including virtual reality, artificial intelligence and drones to connect the remotest parts of the world to the Internet. Chief Executive Mark Zuckerberg, who returned from two months of paternity leave on Monday, has said virtual reality represents the next major computing platform. In January, Facebook began taking orders for a consumer version of the Oculus Rift, a head-mounted virtual reality unit. The company has also begun monetizing some of its other units, such as photo-sharing app Instagram, which surpassed 400 million users last year and began selling ads in September. Facebook said mobile ads accounted for 80 percent of total ad revenue in the quarter, compared with about 78 percent in the third quarter and 69 percent a year earlier. "It's much stronger ad growth than we were expecting," said Ken Sena, an analyst at Evercore ISI. Facebook's service is not available for users in China but it can sell ads to companies there. "It signifies the importance of what they're providing to advertisers," he said. "They're making big investments and evidenced by their quarterly performance it seems to be working." The company, which has the world's most popular smartphone app, has also been benefiting from a surge in video views that has attracted advertising dollars. Facebook said it had 1.59 billion monthly active users as of Dec. 31, up 14 percent from the end of 2014. Of those, 1.44 billion used the service on mobile devices, an increase of 21 percent. Analysts had expected the company to report 1.58 billion monthly active users, with 1.43 billion accessing the service through smartphones and tablets, according to market research firm FactSet StreetAccount. 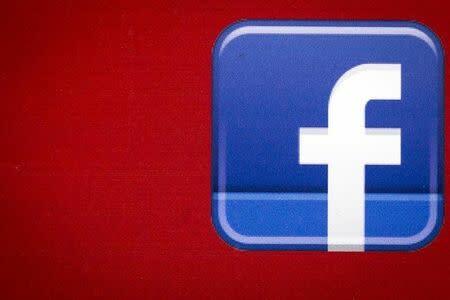 Up to Wednesday's close at $94.45, Facebook's stock had risen nearly 25 percent in the past 12 months.